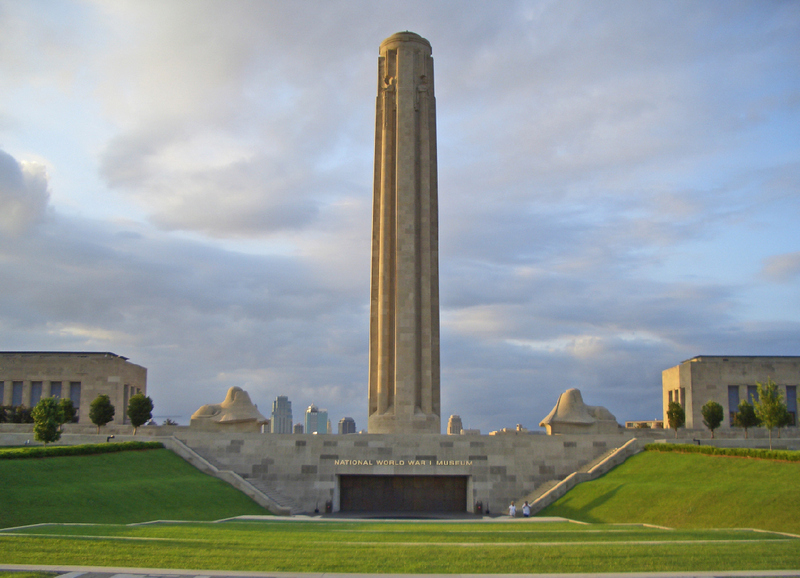 This past week I was finally able to visit the National World War I Museum in Kansas City, Missouri. All the acclaim I had heard about the museum turned out to be true. The two short films I watched, including one entitled “Europe Before the War” were excellent. The exhibits were first class, especially the replicas of French, British and German trenches. Characteristic German thoroughness was on display in their replica trench. Even in the mud of northern France and Flanders, the German Army managed to be neat, clean and uber-organized. The same could not be said for the French, whose trenches looked ramshackle at best. As for the British ones, they were pragmatic and functional. One could learn a great deal about the warring nations just by studying their trench systems. My lone disappointment was with the museum’s treatment of the Eastern and Southern Fronts during the war or should I say the lack of a treatment. There was a small section within one exhibit that gave a broad overview of the front. This oversight is quite remarkable considering the Eastern and Southern Front’s dramatic influence on the Western one during the war. Consider that the German Army committed millions in men and material to these fronts during the war. Not to mention the fact that at critical junctures the Russian Army launched offensives in the east that drew German forces away from the western theater. The blue tunic looked to be in fine condition, with all of the brass buttons still attached. There were no signs of wear or tear. I could almost imagine the owner, exactly a century ago, standing on deck as his boat patrolled close to the shoreline. The Black Sea calm, under a clear blue sky, the sunlight glittering on the water, war never looked so beautiful or benign. My imagination took me back to that distant sea for a moment before I came to my senses. Then I realized just how bizarre this tunic actually was. No imagination was required for such a unique artifact. My beloved 12 volume Marshall Cavendish Illustrated Encyclopedia of World War I, unsurpassed in breadth and thoroughness when it comes to coverage of the Great War, dismissed the Bulgarian Navy with a single sentence, “The negligible Bulgarian fleet, as we shall see, played no role at all in the First World War.” For all intents and purposes the fleet was a non-starter during the war. As for the sailors there was virtually nothing to go on, at least as far as a cursory search of English language sources goes. It is safe to assume that the Bulgarian Navy was essentially useless during the war with the result that it had become anonymous to history. At least that is a logical explanation, but it still does not account for the fact that a world class museum in the heartland of America had rescued the tunic from obscurity. The most fascinating aspect of the tunic are the questions it has raised in my mind. Who gave it to the museum? How was it acquired? Was the donor a collector of obscure artifacts or a Bulgarian war veteran? 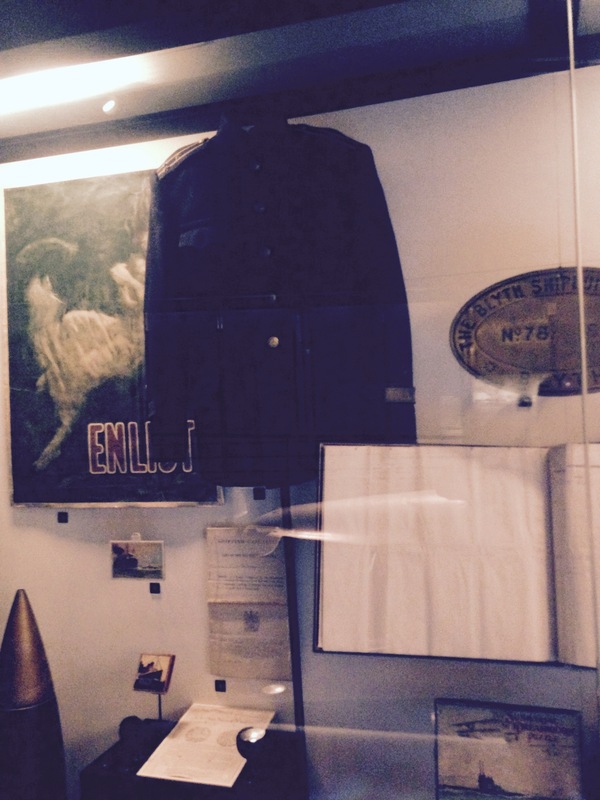 Of the thousands of potential artifacts for display why did the museum decide to showcase a Bulgarian naval Officer’s tunic? The questions were many, but how and where to begin finding the answers? The most fascinating question for me is what does the Bulgarian naval officer’s tunic really represent? Does it somehow communicate the scope and scale of a far flung world war? How the war was fought not just in the trenches, but also on the high seas? Or how one hundred years ago in a world gone mad with militarism, in the process of committing suicide, small nations as well as large ones built military forces just to have them, no matter their usefulness or uselessness.